May Day is May 1 and it is a celebration of the arrival of spring. 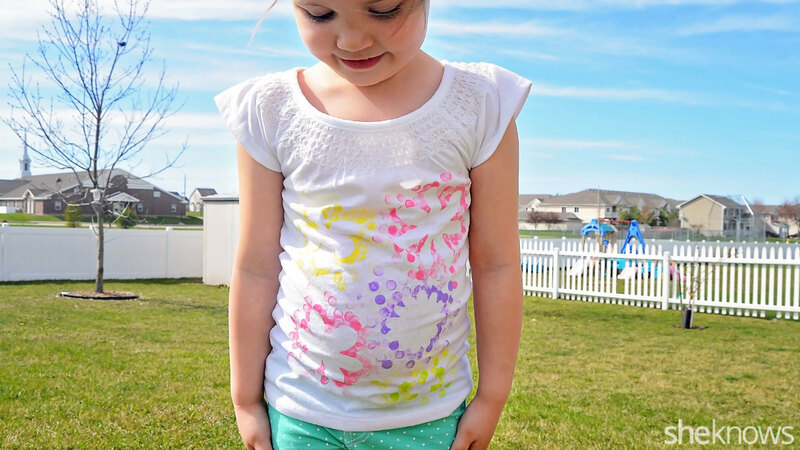 Celebrate the arrival of warm weather and fun time spent outdoors with a cute DIY flower T-shirt that can be worn all summer long. 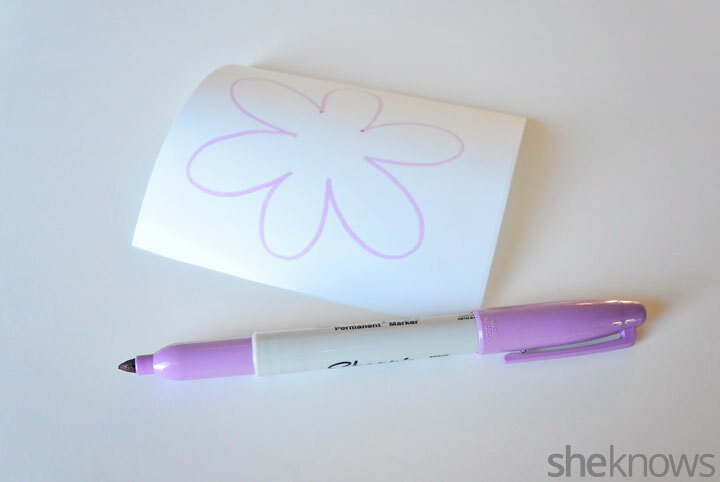 Use your marker to draw the flower shapes on the adhesive vinyl. 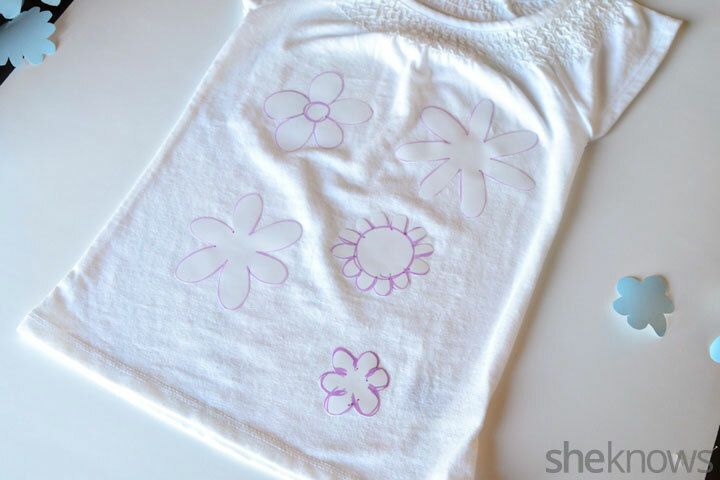 Cut out the flower shapes, then peel off the backing and stick them to the front of the shirt. 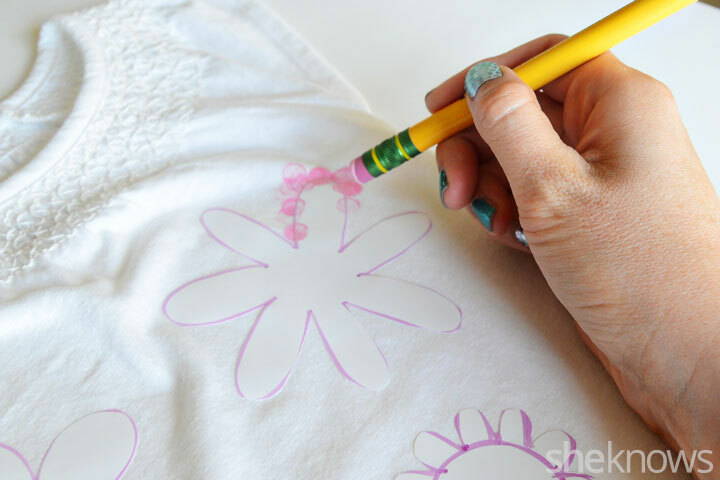 Dip the pencil eraser into some fabric paint, then use it like a stamp to dab small dots all around the flower stickers. 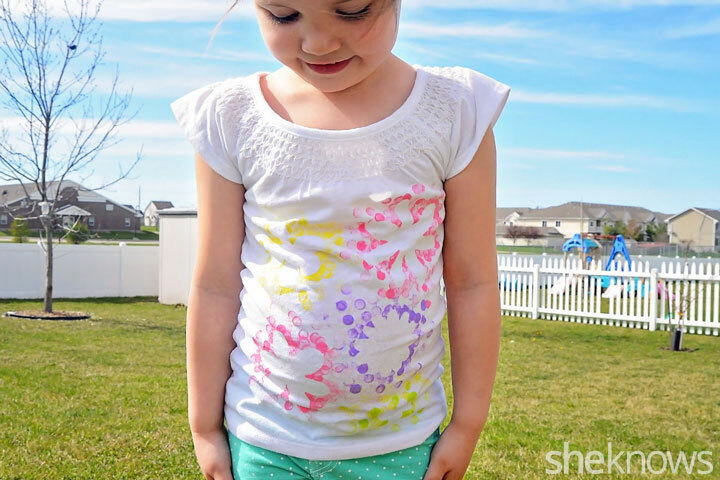 Tip: Before you start painting, slide a piece of cardboard between the two layers of the shirt so that the paint doesn’t bleed. 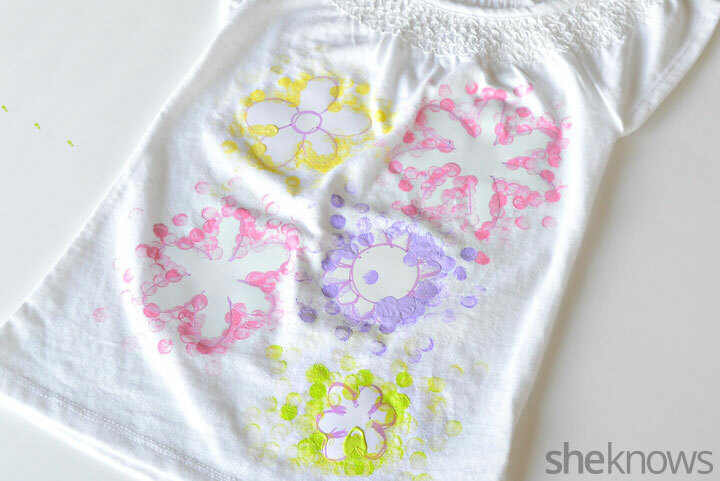 After you have painted around all of the flowers with different colors of fabric paint, let the paint dry completely. 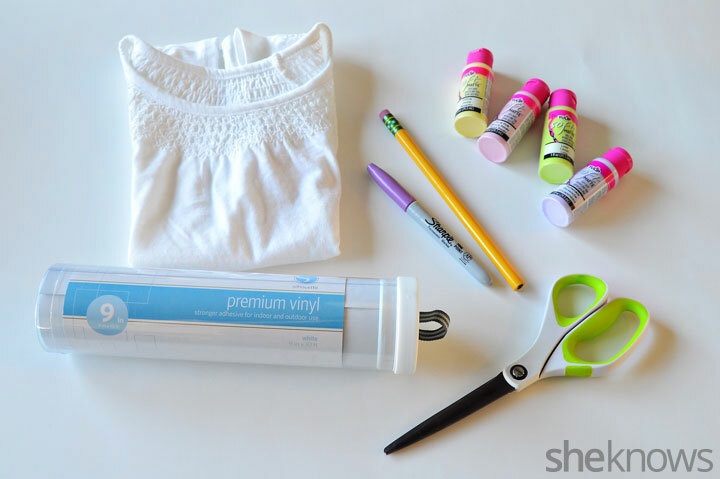 Once the paint is dry, peel away the vinyl stickers and your new flower T-shirt is ready to wear.